Dr. Joseph A. Guarino was appointed Superintendent of Schools for the New Brighton Area School District in January 2013 with his tenure beginning on July 1, 2013. 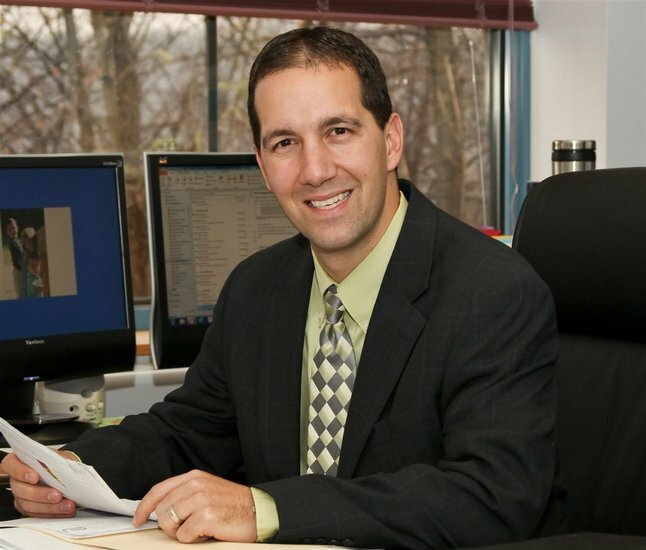 Dr. Guarino previously served within the Central Office of the New Brighton Area School District as the Assistant to the Superintendent and the Director of Curriculum. Prior to joining the Central Office staff, Dr. Guarino spent six years in the New Brighton Middle School. During that time he was an 8th grade science teacher and the middle school principal. Dr. Guarino began his career in the Baltimore City Public School System where he taught high school biology. Dr. Guarino holds a Doctorate of Education from the University of Pittsburgh in School Leadership and Policy Studies, in addition to his Superintendent’s Letter of Eligibility and Principal Certification. He received his Master’s Degree from The Johns Hopkins University and his Bachelor of Arts in Biology from the University of Delaware. Dr. Guarino and his wife Johanna, a proud New Brighton Alumna, are actively involved with their three young children, Will, Ella, and Gabe.